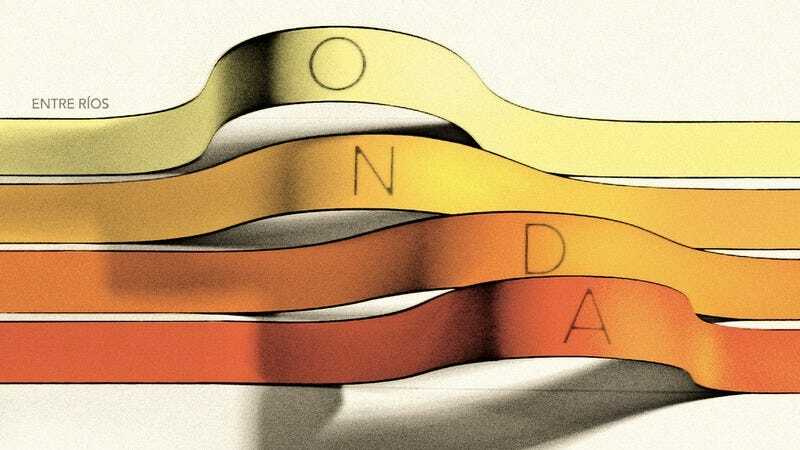 The original lineup of Argentinian electronic-pop group Entre Ríos hasn’t produced an album in a decade, and though it was but a blip in the electronic sea, the group’s 2005 album, Onda, is full of sweet pop melodies and electronic lullabies. I was in grad school when it came out, and was listening to a lot of music that I couldn’t understand—I needed to study to music that was stimulating, because frankly Jacques Lacan made me sleepy, but I couldn’t work if I was singing along—and despite having studied Spanish for an embarrassingly long time, I couldn’t pick out more than a handful of words from all of Onda. My favorite from that album is called “Claro Que Sí,” which translates to “yes of course.” I played the song on repeat for weeks, belting out not much more than the title words, happily oblivious to the rest of the lyrics. A native-Spanish-speaking friend translated the song for me, and I was pleased to find out that it wasn’t just my woeful Spanish failing me—the lyrics roughly form a love song (“of course I came for you”), and although it’s not quite nonsense, it still doesn’t have much of a narrative. Instead, the focus is on vocalist Isol’s sweet, sometimes breathy voice, which, despite language barriers, still conveys desire and longing. Set against electronic crescendos and fuzzed-out back-and-forth synth notes, Isol’s voice releases a bit of its saccharine center, and an otherwise simple tune finds some complexity. The effect is one of Ladytron thawing out on a South American beach, and one needs no understanding of Spanish to feel the pull of its warm, chill vibe.